Matewan, West Virginia was a coal mining town. Most of the housing was owned by the mining company. In the years leading up to 1920 the United Mine Workers were trying to organize the miners there into a union. The mining company brought in the Baldwin-Felts Detective Agency to stop the union organizing. William Sidney “Sid” Hatfield was born near Matewan, in the Tug Fork area. 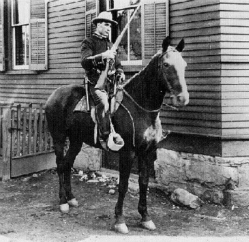 His family was a part of the famed Hatfield/McCoy Feud. Sid was no stranger to hard living and fighting, and was tagged with the nicknames of “Smiling Sid” and “The Terror of Tug County.” But in 1919, amidst the tension between the Baldwin-Felts detectives and the mine-workers, Matewan’s mayor appointed Sid as the town’s police chief. He took the job seriously! 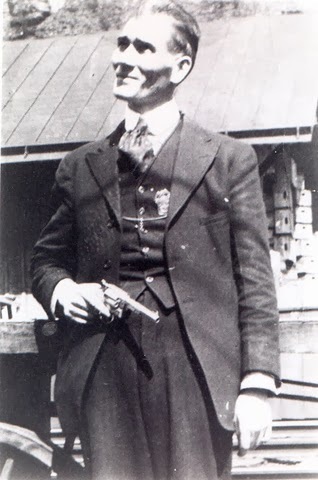 Known to carry two pistols and reputed to be a quick draw expert, Sid refused to accept a pay-off from the mining company’s detectives, to “look the other way” as the detectives evicted the families from the town. His refusal resulted in gun fight in the streets of Matewan in 1920, where ten people were killed, including the Mayor and one of the detective agency owners, Albert Felts. A website dedicated to the history of the town of Matewan, http://www.matewan.com, calls it the deadliest gunfight in American history. Two weeks after the shoot-out, Sid married the mayor’s widow, causing the mining company to claim he killed the mayor in order to get his wife. Sid was tried and acquitted for murder (not of the mayor) in the shootout. 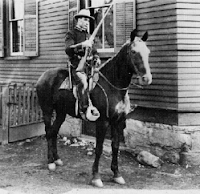 He was removed as Matewan’s police chief after the shoot-out, but was almost immediately elected by the residents as the constable. Being acquitted by the courts however, did not remove the target that the death of the Felts agents placed on his back. He was then charged with conspiracy in an incident occurring in a neighboring community. In 1921, as he and his wife walked to the courthouse in Welch, W.V., for the beginning of his trial on the charges, Baldwin-Felts agents confronted him and shot him and his deputy to death in front of the courthouse. No one was ever convicted of the murder. Although reported to have been an elected constable at the time of his murder, he is not listed on the National Law Enforcement Officers memorial site. 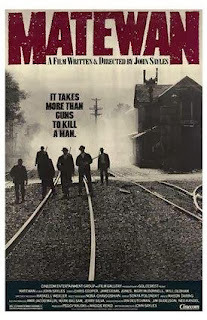 A movie by John Sales was released in the late 1980’s, depicting the battle of Matewan. It is available at most outlets. The website mentioned above has much more information about the shoot-out, the Hatfield-McCoy Feud, and the history of the area. If you enjoyed reading this story, please check out my other writing on this website or at www.Amazon.com.